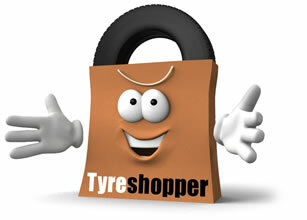 Find your perfect Winter tyres through Tyre Shopper! Winter tyres are a great choice if you drive lots throughout the cold season, offering a range of advantages over summer or all-season tyres and keeping you safer on the road. You can find the best winter tyres for your car easily with Tyre Shopper, buy online, and have them fitted in any one of our 230 fitting centres or by using our mobile fitting service. Search for your new winter tyres with your registration number or, if you know the tyre size you need, use our tyre size search. You can also choose your vehicle make from the list below to find the exact winter tyres you need. Why do you need winter tyres? Driving conditions change when winter arrives, and so should the performance of our tyres. Winter tyres are made specifically for cold, wet and icy conditions, and offer better grip and handling than summer or all-season tyres. Winter tyres or cold weather tyres are designed specifically for cold conditions and perform best in temperatures below 7°C. They provide drivers with more control as they’re made with more natural rubber and an increased groove ratio which gives them better grip and allows for shorter stopping distances. The tread pattern of winter tyres can also disperse a greater amount of water, reducing the risk of aquaplaning. In addition to this, although there are no laws that demand it, the authorities in countries including France, Italy, and Switzerland heavily recommend using winter tyres. We stock winter tyres from premium, mid-range and budget ranges made by a variety of trusted manufacturers, including Bridgestone and Pirelli. Simply search for your winter car tyres by using our VRN search function or, if you already know which size tyres you need, you can search for the exact manufacturer and tyre size. For more help choosing the right tyres for you, read our tyre guide or call our 24-hour call centre on 0800 731 0133 and speak to one of our advisors.